What is One Watershed, One Plan? Minnesota has a long history of water management by local government (see sidebar). One Watershed, One Plan is rooted in this history and in work initiated by the Local Government Water Roundtable (Association of Minnesota Counties, Minnesota Association of Watershed Districts, and Minnesota Association of Soil and Water Conservation Districts). Roundtable members recommended that the local governments charged with water management responsibility should organize and develop focused implementation plans on a watershed scale. 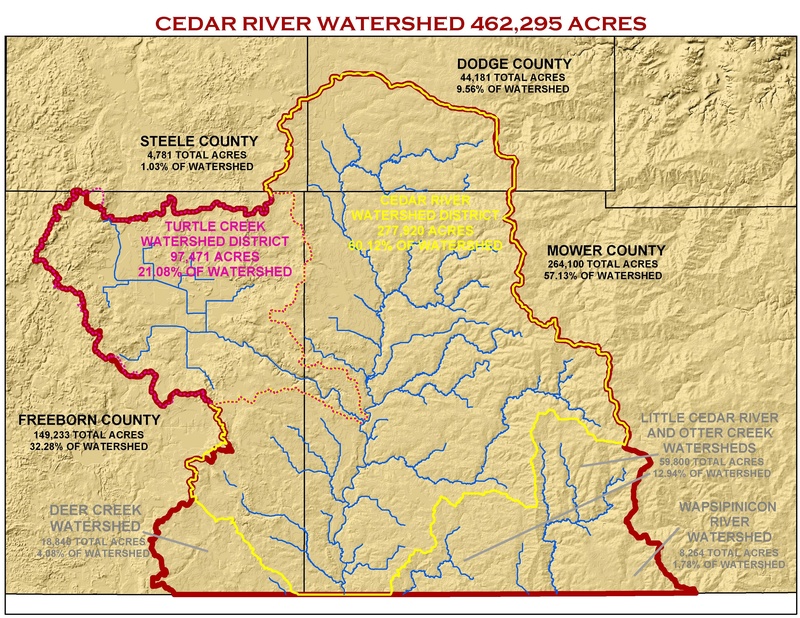 The recommendation was followed by legislation that authorizes the Minnesota Board of Water and Soil Resources (BWSR) to adopt methods to allow comprehensive plans, local water management plans, or watershed management plans to serve as substitutes for one another; or to be replaced with one comprehensive watershed management plan as well as required BWSR to establish a suggested watershed boundary framework for these plans. This legislation is referred to as One Watershed, One Plan (Minnesota Statutes §103B.101, Subdivision 14). Further legislation defining purposes and outlining additional structure for One Watershed, One Plan, officially known as Comprehensive Watershed Management Planning Program (Minnesota Statutes §103B.801) was passed in May 2015. BWSR’s vision for One Watershed, One Plan is to align local water planning on major watershed boundaries with state strategies towards prioritized, targeted, and measurable implementation plans – the next logical step in the evolution of water planning in Minnesota. In December 2013, the BWSR Board adopted a set of Guiding Principles to direct and influence the program’s future policies and procedures. In 2014, the Board adopted the Suggested Boundary Map (see page 2), which contains recommended planning boundaries for implementing the program, and selected five watershed planning boundaries for piloting the One Watershed, One Plan Program. These pilot areas are: Red Lake River, Lake Superior North, North Fork Crow River, Yellow Medicine River, and Root River. An understanding of next steps for coordinated funding and implementation. 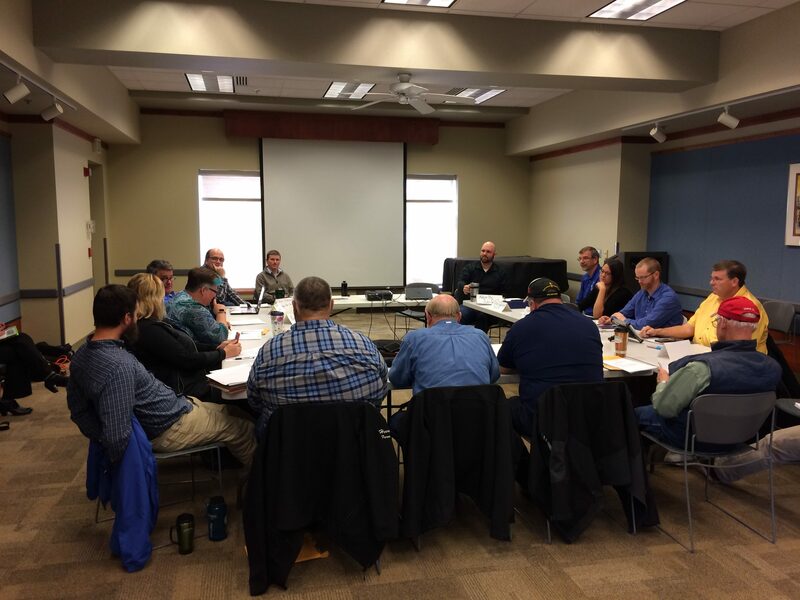 In March 2016, the BWSR Board adopted Operating Procedures and Plan Content Requirements for the One Watershed, One Plan Program. These documents outline how local governments need to organize to participate in the program and what the comprehensive watershed management plans in future planning areas will contain. As BWSR looks toward the Legislature’s goal of statewide transition to this approach by 2025, we have developed a Transition Plan. BWSR will be accepting feedback on this plan through May 4, 2016, and anticipates adoption in June 2016. For up-to-date information, a One Watershed, One Plan page is available on the BWSR website: www.bwsr.state.mn.us/planning/1W1P/index.html.